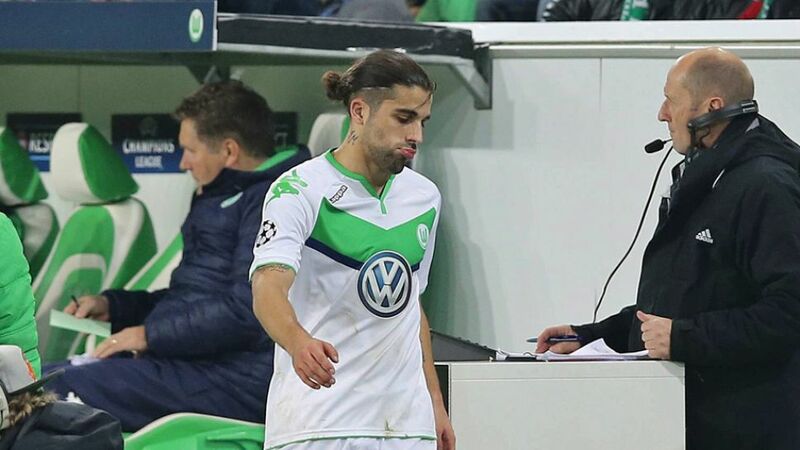 VfL Wolfsburg left-back Ricardo Rodriguez may not play again in 2015 after picking up a muscle strain in his right thigh in Tuesday's 3-2 win over Manchester United FC in the UEFA Champions League. The 23-year-old Switzerland international was replaced by Marcel Schäfer in the 16th minute at the Volkswagen Arena, on a night that saw Wolfsburg finish top of Group B and qualify for the last 16 of European football's elite club competition for the first time. Rodriguez, who has made 20 appearances in all competitions for Wolfsburg so far this season, has already been ruled of Saturday's clash with Hamburger SV, and could also miss the Wolves' final fixture of the Hinrunde against VfB Stuttgart on 19 December. Wolfsburg are currently , a point outside the top four. Get the reaction to Wolfsburg's momentous Champions League win here.